If you think you might need a new roof, the first place to check isn’t your home exterior—it’s your attic. So arm yourself with a flashlight and climb up under the eaves. Look for beams of light coming through the top of the house or stains and streaks, which signal a leaky roof. Review your home improvement records to see how long ago the roof was replaced or reshingled. Knowing when a roof was installed (and what it’s made of) offers insight into how much life it has left. For instance, a typical asphalt shingle roof lasts 20 to 25 years, while a roof installed over an existing layer of shingles should be replaced after 20 years. Keep an eye on your rooftop to make sure its in ship-shape, especially after heavy storms. Shingles should lie flat against the roof; if you find patches that are cracked, damaged, or buckling, then roof repairs are in order. While you’re at it, check the gutters and downspouts for shingle granules—a roof that is losing a lot of granules may be at the end of its useful life. 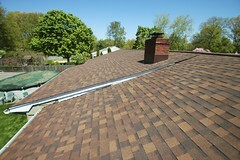 The flashing around vents, skylights, and chimneys seals the seams of the roof from rain and weather. Examine these points make sure there are no cracks or breaks, which could lead to leaks. In older homes, flashing is often made of roof cement or tar, but it’s a good idea to upgrade to a metal flashing system for added durability. A droopy, sagging roof is one that surely needs replacing before further damage occurs to your home. Check the surface for signs of trapped moisture, rotting boards, or sagging spots—especially at the lowest points in the roof. Moss can look great in a shady corner of your yard but on a roof, it spells trouble. Moss (and likewise mold and fungi) indicate there may be trapped moisture, which can ruin a roof. To do away with moss that collects in shaded corners of your roof, use a stiff brush but be careful to address any underlying problems. Just because you have a few damaged shingles or a bit of a leak, don’t automatically assume that you need a whole new roof. If your roof has been properly installed and is younger than 15 or 20 years old, it may get by with roof repairs rather than a full replacement. When in doubt, contact a licensed roofing contractor to get a professional opinion. Although a lot of these things can be done yourself, it is not the safest or easiest job for those who are inexperienced. 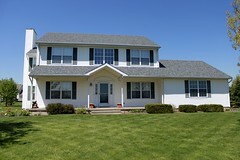 It is recommended that you hire a professional Bridgewater Roof Repairs contractor to do the roof inspection. 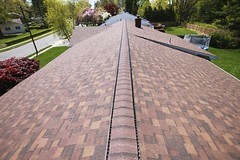 Biondo Contracting provides roof repairs, roof replacements, roof installations, and many more roofing services to the Central NJ area in towns such as East Brunswick, South Brunswick, Hillsborough, Bedminster, South Plainfield, Green Brook, Avenel, Somerset, Bridgewater, Highland Park, Kendall Park, Manalapan, North Brunswick, and many more. 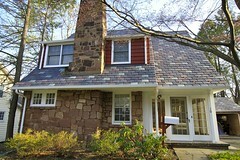 Call this Central NJ roofing contractor today for a free roofing estimate or visit the website.